Hike POS is a cloud-based iPad POS software designed for the retail industry. It offers users with solutions for omni-channel management, CRM, inventory tracking, sales reporting, ecommerce integration, and more. There weren’t a lot of Hike POS reviews available online, but of the ones we found, it seems to have generally positive ratings. We also compared its available pricing options. A reviewer from Software Advice said that she likes the intuitiveness and ease of use offered by Hike POS. She also said that it supports multiple languages, which helps all her staff understand the software. She added that she called for support once at five in the morning, and she’s happy that customer support is really there 24/7. A reviewer from Software Advice said that Hike POS’ reporting section can be improved to cover more areas like individual sales. He also shared that there are occasional system glitches, which takes some time away from his business. 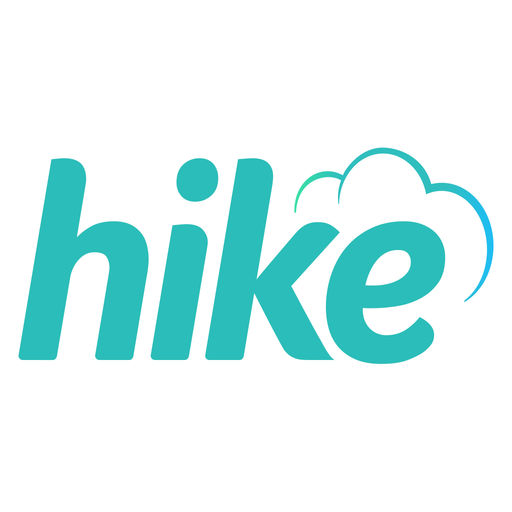 Hike POS has three subscription plans: Start-up ($49/month), One Store ($89/month), and Multi-store ($169/month). The main differences between the plans are the number of store outlets and access to premium features such as gift cards, loyalty program, advances reporting, multi-location inventory, and consolidated business reporting. Additional register licenses cost $39/license/month for all plans. Check out the list below of some of Hike POS‘ features. Yes, you can sign up for a free 14-day trial here or request for a consultation/demo here. Can I use my old hardware to run Hike POS? Hike POS is compatible with most industry-standard hardware available in the market. To be sure, you can check this page for more information. Does Hike POS have limitations in country/location? No. Hike POS lets users create custom tax rules, payment types, and currency symbols that are specific to their country. The video below provides an overview of Hike POS’ features and functionalities and how it can help you run your retail store. When choosing a POS software, it’s important that the software integrates with other applications your business is currently using. Here is a list of some of Hike POS’ popular integrations. Not sure if Hike POS is the right fit for you? Read our reviews of all top POS software or check out one of these three Hike POS competitors. Design and layout of app for both PC and iPad. It looks good and is easy to use once you know how. Customer service , Forsee problems, or think through problems before rolling out product. They don’t fully concider the end user and how the product is to be used particularly regarding integrating software. So many technical issues occur while setting up and customer service while very friendly rarly give you the answer on the spot, it all gets put through to tec support that can take days for a response. Rebooting and reinstalling the app isn’t the answer for everything. I’ve had such frustration with the product and owners, and it took me 18months to finally get it synced to my Xero software. I have given up connecting it to my web page as it kept creating new products every time I sold something. The big problem with POS systems is it’s so much work to set up, even if they have problems the thought of starting again is worse. That it is buggy, that I’d loose 1 year of detailed reports with them and it would take constant back and forth to set up to finally connect to my accounting software. If I knew beforehand the problems I’d face I wouldn’t have chose them. In saying that the product is far better now than in past years and if they sort out more problems it will be a great product. Good design. Intuitive and easy to use design. The iPad app is very unreliable and unstable. We are facing multiple issues and the experience has been extremely frustrating. To name a few, the app keeps on hanging, connection to printer is frequently lost, the sales history under POS section shows incorrect values, currency keeps changing from store currency and settings section keeps dissapearing. Customer support keeps asking us to reinstall app and do data sync for every issue and we are having to do that multiple times a day. The software/app is designed well, very intuitive and easy to use. If only the app is stable and more reliable and functions like it is intended this can be a stellar product. For people considering this software, my recommendation would be to anticipate that a lot of things can go wrong. Dont make the complete transition to this software thinking that what you experience during the trial version is what you get and everything would work seamlessly. Be slow with your implementation and have a backup or manual alternative process in place. We were told by hike support that ours was an exception and that other customers have had better experiences. I can only detail our experience. We have decided to evaluate other alternatives like Vendhq. That the software is unreliable and unstable with lot of bugs.